Polynesian history, as far as we know today, was not preserved through writings on paper. However, the Polynesian history was recorded in other means, where history is stored or written in the land for thousands of years. These ancient records preserved in the land is confirmed by the oral history that has been preserved in the hearts and minds of Polynesians for generations. Let us look at Tonga as a case in point. Tonga has a rich history that is not written on paper or ancient documents as far as we know today. However, there are countless locations or land that has names associated with significant events in Tongan history. These locations have names that directly reference these important events in Tongan history and is supported by Tongan oral history that has been passed from generation to generation in Tonga. This is a significant barrier that foreign academia face when trying to de-code Ancient Tongan History, as they do not understand or have access to the knowledge of Tongan history preserved in the record of the land and in oral history. And the names of Ancient Tongan leaders involved during the specific times these places were named, as there are many events that are similar but occurred at different times with different leaders. These challenges have proven to be the stumbling block not only for foreign academia but also for native academia as well. A clear understanding of the foundation of Ancient Tongan History cannot be accomplished without a clear understanding of Ancient Tongan Culture. Tongan history follows a specific pattern and set of ideals that play a direct role in de-coding how and why ancient events unfolded. 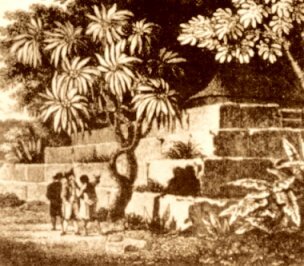 Ancient visitors to Tonga immediately recognized the many mounds built throughout Tonga. Build the Mound. The foundation necessary to establish a correct timeline in Ancient Tongan History is to identify where the mounds were built. Tonga is directly related to Ancient Civilizations that are commonly referred to as mound builders. The first event in any major era of Tongan history begins with the building of a mound, we can regard this as the foundation to understanding Tongan Civilization and its complex history. 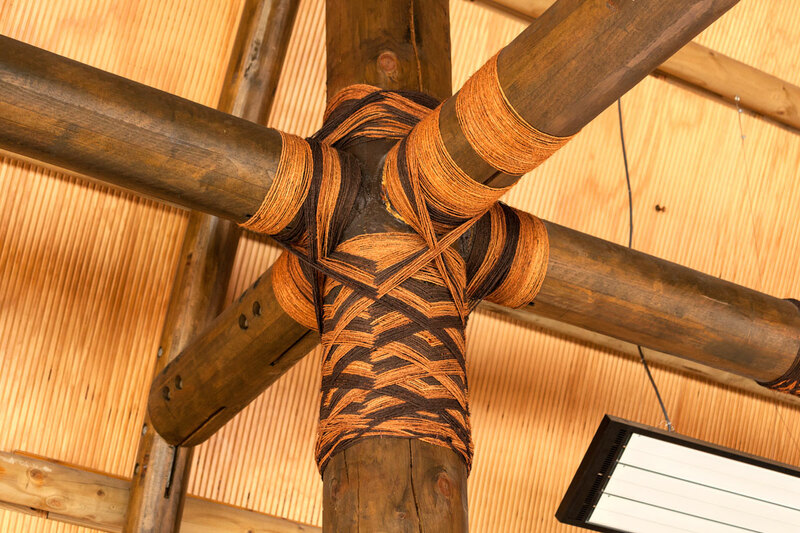 The building of a proper structure is a significant aspect of Ancient Polynesian Culture. Build the “Fale Lalava”. The simplest way to understand the Fale Lalava is to compare it to a city hall. Ancient Tongans created an appropriate place in which leaders can come together. The mats are a common practice prior to any seating throughout Polynesia. This practice exists to this day. Lay the Mats/Fola ‘o e Fala. The laying of the mat is a significant designation of where all parties could sit together, on the same mat. Signifying a coming together to the mound, in the fale lalava, on the same mat. The history and knowledge behind the design and astronomical significance of the Kava Bowl is one of the many pieces of Polynesia’s history that was lost. 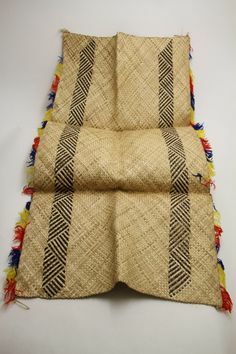 Prepare the Kava / Palu e Kava. There is no question the unique and differentiating position that Kava has not only in Tonga but throughout Polynesia. The Kava was at the center of those gathered together on the mat. A clear understanding of these cultural patterns, as well as others, is necessary to truly de-code the history of Tonga that is recorded in the land and oral history. As mentioned above, foreign academia are not the only ones that have fallen short in this matter, as many of the native academia also fall short as well. Many of the native academia proclaim that the Laying of the Mats/Fola ‘o e Fala as the first step of the ancient pattern. This concept excludes two significant aspects of the pattern needed to de-code Ancient Tonga, as well as Polynesian History, that is the building of the Mound and the Fale Lalava. The Fala or mats erodes with time and the kava leaves with the participants as well as the items discussed. The Fale Lalava will also erode relatively quickly with time, but the mounds are the longest lasting clues of the these 4 key components. Therefore, follow the mounds and they will start you on the path of de-coding our great and rich history. This is true for Tonga and for all of Polynesia. Without a full understanding of these 4 components of Tongan and the Polynesian culture, explanations of the past and present are incomplete. There are many who have used one or more of these 4 key components to describe relatively recent events in Polynesia. One of which is the “laying of the mat” and “talanoa” in Fiji’s 2000 – 2002 military coup resolution. In the next article we will discuss, how understanding these 4 key components of Tongan culture has helped de-code and reveal many aspects of Ancient Tongan history and timelines. Including a more accurate timeline of the Tu’i Tonga timeline and lineage, which is longer and richer than modern day academia currently accepts. This is no surprise, as when I shared over 20 years ago that Polynesians were able to navigate using using the stars and the sun, the academia of that time rejected my findings. However, today one cannot deny the navigational skills of Polynesians that many say are the best of its kind in human history. Though this is great to recognize Polynesia’s contributions to mankind in navigation, I am here to share that there is much more that Polynesia contributed to mankind beyond navigation. Uncle, I’ve read all of the articles I can find in here that you have published and through these articles you have ingnited an adventure flame within me that I can’t sleep over. You are definitely a scholar and a man of great wisdom and knowledge. This read was a soul deep wonder that has me hungry for more and makes me want to sit in on a few kava ceremonies that you attend to be able to hear more. Thank you so much for adventure. Malo mateaki Tevita. Koe motuani ne kau he fanau ako toloa ne faa alu atu o hiki fakamatala meia koe he hivangofulu tupu, neu manako ai pe fe ilo kiho tau motutapu. Koe feilo pe kihe Quantum Physics ae palangi neu fakatokangai kapau e ngaueaki e lea tonga faingofuaange hono mahinoi’ e mea’ni pea oku toe ngali tatau moe toonga motua koe mouilotolu. Mahalo pe naa oku iai ha ilo a Tevita leka, e hounga ia e motuani ka iai ha tau kakai oku nau fevahevaheaki fekauaki moe ilo foouni.